It is a shy, thrush-sized bird. 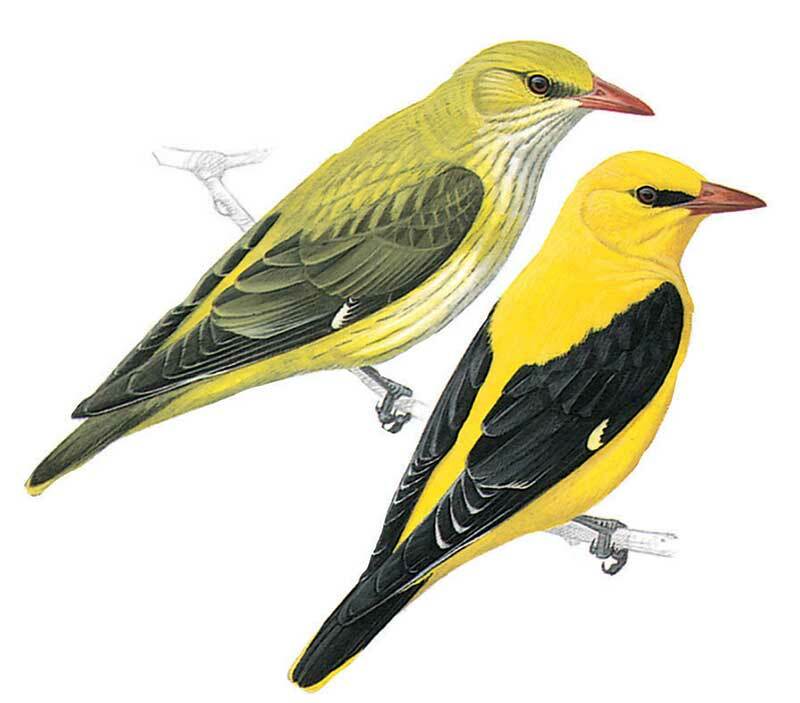 Male's bright yellow plumage with black wings is diagnostic. Female and immature male are greenish above with olive-brown wings and tail, rump often yellowish green, underparts yellowish white, indistinctly streaked darker. Appears short tailed in flight. Flight pattern undulating, followed by soft wing beats.